First Pic is og crank sensor and second is reluctor ring. Axle/Gears: 4.11 posi Ford 9"
Keep the pics and info coming! I'm using an older 2 pc. RMS block and retro fit hydraulic roller cam with a Torrington bearing and a cam button/thrust plate timing chain cover to keep the cam in place and not let it "walk". I would hope that any timing cover that works on the L98 type motors, including my current one, would also work with this conversion. Is there any reason to doubt this assumption? an older cover would work, if you machined/modified it to fit the crank sensor. Thats the reason the vortec cover is needed, it properly locates the sensor in relation to the reluctor ring. You could also make your own reluctor ring and fab a pick-up mount externally. Who had the first one? I did mine in June 06, 1994 G10, TPI on the TBI 305 longblock, 1995 4L60E transmission, 1998 Express Van 305 PCM and harness. I started looking about April or May, and got parts together about June, but I still don't have my truck finished. It is wired, thanks to S10 WIldside, PCM flashed, but back problems have slowed progress, and now it's tax season and I've got to work till spring so I can finish up this spring. I need to mount battery, put dash and steering column back in, and gas filler hose on the 41 pickup and it will be ready to fire up. Maybe I can catch up with you guys this summer. Thanks for all the valuable input. Well today was a test. People always complain that the car runs poor when cold, even if its tuned with a chip. Well I went to prove all that the 411 runs flawless when cold. This morning in Cleveland it was -6* Degrees with a windchill of -24* Car fired RIGHT up and idles smoothly. Although there was salt on the roads it was dry so I drove around the block. No hesitation, no bogging NO NOTHING. Even the factory TBI/TPI computer can run like that. Is this a custom tuning attemp, or are you still running the Vortec 350 Express tune? Where do you live near dallas? I live and work in Plano. How 'bout you? North of Arlington and just west of Fort Worth in the city of Hurst and work in Grapevine. Our car club (NTTGA.net) meets in Grapevine the 2nd Saturday of each month at the Spring Creek BBQ at Main and 121 in Grapevine, too. If I decide to go this route, might be nice t have a local source to call if I run into questions while doing the conversion, too. It is in the Northeast part of Tarrant county, just not part of Fort Worth. I no longer own the conversion. I was able to make it run very well though and could repeat the procedures again. I asked in case you needed help with the conversion, if you started it and could not finish it. Last edited by Fast355; 02-05-2007 at 07:45 PM. Thanks so much for that offer! If the situation gets tense, I'll defintiely holler at ya - again, THANKS!!!!! 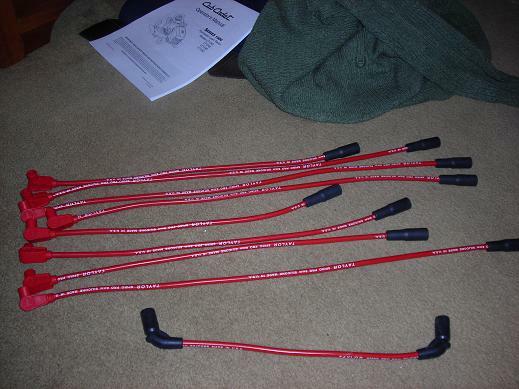 Today I'm going to begin taking measurements and start building the harness for the ******. I'm pretty excited about this conversion. It's a beautiful car and I don't see too many fuel injected project cars around here. When I go to local car shows, almost everyone has a carburetor. That's what got me started using TPI stuff in my streetrods. Carbs are HOHUM, since everyone has one on their streetrod, because they are easy to install in an old car. OBDI and OBDII is really a challenge to install from scratch, but in the long run, they are unique, better, and looks more hi-tech. When gas gets to where it evaporates in their fuel bowl, maybe fuel injection won't look so bad. 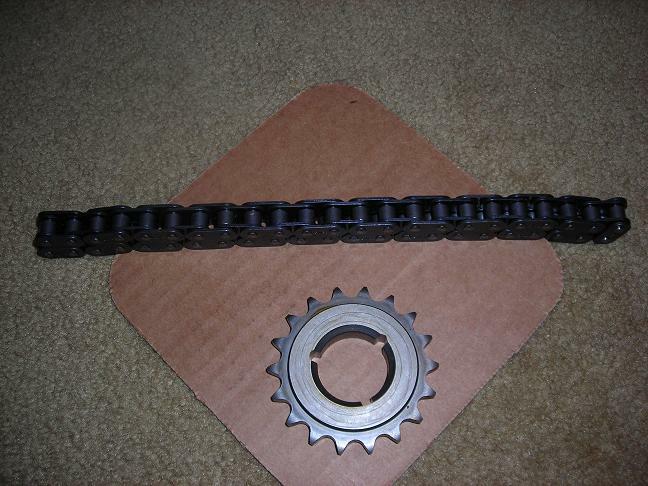 Single roller heavy-duty type sprocket for use with the ZZ design 350 High-Output V8 engine." Last pic is of the Taylor Spiral Pro wires. These parts will be installed on Justins Car. get that cub cadet crap outta the way! For anyone who wants to do their own harness work, there are many ways to go about fused protection. If not using the 3rd gen fuse block...or not installing in a 3rd gen, you can use your own fuse block. Here's how I chose to handle the ****** harness. Now this ****** has no room behind the dash for a PCM or additional fuse block. The owner chose to mount the PCM and fuel injection fuse block behind the passenger seat. It's completely hidden, but very accessible. The fuse block will be mounted just above the PCM. Notice the S-10 PCM bracket we're going to use. I did not have to use so many fuses, but should there be future trouble, identifying a blown fuse will definitely help to diagnose the problem. The factory LS1 harness is broken down in a very similar way. Think it through. Wiring takes a long time. I've easily got over an hour into this fuse block. Look intimidating? Here's a less intimidating view. Each ignition relay provides ignition power to one of the 4-fuse fuse blocks. To provide battery and ignition power to the harness, we'll run two 10 gauge wires to the battery and one 18 gauge wire to any ignition source with power in key on and crank. Very simple. This vehicle has no park/neutral indicator switch, so I'm working with the neutral safety switch and a relay to provide the necessary ground signal to the PCM when the vehicle is in park/neutral. The ****** owner and I are about 4 hours into the construction of the 411 harness. In a week or so we'll be installing it in his car. Fortunately he lives just down the road from me, so we're going to leave the harness unterminated at the engine. Everything is extra long so that we can sneek the harness under the miniram, then install the connectors to make for a very clean installation. I'm not sure how useful this information is for those reading this thread, but I figured there were more than 3rd gen owners reading this. Last edited by S10Wildside; 02-11-2007 at 02:31 PM. SHOW OFF! LOL Very nice work. This is why I only deal with you. WOW...you really do some excellent, clean, pro work! VERY impressive! If I end up going this route you'll be hearing from me. Thanks for all the info everyone...I'm learning ALOT...this thread should definitely be stickied! Lots of great info! Thanks guys. What I really want people to get out of this is that there are more ignition power circuits in the 411 harness than in the TPI harness...and that there are different ways of handling it. I'm hoping this takes some of the mystery out of the wiring and brings more clarity to this system. There are many ignition power sources to work with. This is very interesting stuff! How different are these ECMs from a newer 5.3 truck engine? I'm considering installing a 5.3L into my truck to replace the TPI 5.7 sometime in the future (thinking next winter at the earliest), but I really like the idea of sequential injection, and running both MAF and MAP on my TPI setup. Could a guy build a harness to service the 5.7, then use it on the 5.3L later on? The 5.3L I'd be purchasing is from a 2000 Chevy 1/2 ton, and has a throttle cable. How different are these ECMs from a newer 5.3 truck engine? Same ECM. 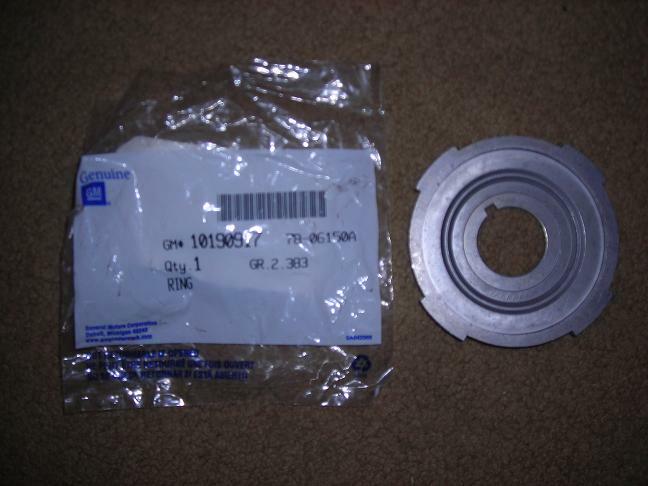 We've been mentioning the 01-02 12200411 because of the features it has that the 99-00 PCM does not have. However, the 99-00 PCM can be used. The Camaro, Firebird, Corvette, Full Size Truck, and some S-10s use the same PCM. If you're doing a plain jane conversion, the 99-00 PCM is fine. If you're planning on speed density mode only or forced induction, then consider the 411. And S10Wildside, where did you find that relay / fuse block? It's made up of several components. The fuse block is available at your local auto parts store. The relay connectors are made by Delphi. If you need them, please PM me. Very cool indeed... So if I get the 01-02 PCM, then all I'd need to do to make it run the 5.3L is to make a few minor wiring changes on the engine side, and flash the PCM with the 5.3 prom. Sounds like a worthy upgrade to me! I'll have to check and see if Napa holds something similar to that fuseblock. I live in a very small town in Alberta, so parts arn't always as easy to find... You can be sure I'll PM you in the future with regards to the Delphi relay connectors. Nope...the pinouts are the same. No wiring changes at all. I did this last year with my 2000 Firehawk. Swap PCM, reflash with 01 f-body calibration, change VIN to original VIN...that's it. Without a matching VIN in the PCM, the air bag module flips out and doesn't know what to do. Last edited by S10Wildside; 02-16-2007 at 04:10 AM. Here's the ****** PCM and fuse block area during installation. The car currently has a 700R4 with no lockup. It's going to stay that way for next summer and likely get a 4L60E next year. The wiring for the 4L60E and VSS are coiled up where the 1227727 Corvette TPI ECM used to be mounted. The diagnostic port is under the passenger seat. The new fuel injection harness is the wiring with the black expandable sleeving. Here's the transmission tunnel area. This is a tight fit (for the floor). There are two grounds for the park/neutral relay that will get connected to the neutral safety switch at the base of the shifter. We decided to run the wires under the miniram. This process took several hours. The wires weren't terminated until after they were routed to their appropriate location. If you look closely you'll see the crankshaft position sensor. It's in the middle of the picture, in the timing chain cover. 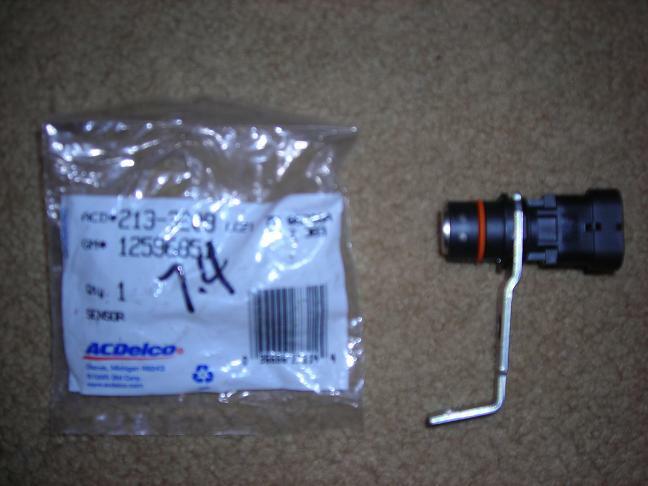 The 12200411 conversion uses the 2001 Express Van 5.7L knock sensor. There are no visual differences from the TPI knock sensor. Of course, it has a different resistance. Very cool stuff... I'm gonna be doing much the same with my truck, except I'm going to use the stock 5.3L wiring to make it happen, then eventually put the 5.3L itself in as well. Here's the Accel Billet Aluminum Vortec Distributor, summit part number ACC-60116. We waited two months to get two of these (for the ****** and for my S-10). The stock (plastic) distributor is fine, but if you want to spend about $250.00, this is a very nice product. That should really look good on the ******. All it does is give a camshaft position signal and distribute spark. You're just as well off with a $5.00 distributor on ebay. Last edited by S10Wildside; 03-03-2007 at 07:06 AM. Wow. I have read every word of this L-O-N-G thread with great interest. Good to know I'm not the only one with crazy ideas like this. Ha! Reason I'm here is that I'm inching ever closer towards diving head-first into my first big project, and it just happens to be really similar to this 411 conversion stuff. I'm still trying to sort out just exactly what direction I want - or should - take, and this discussion is very helpful information. Thanks to everyone! Now I don't want to derail or hijack this thread (let me know if I should buzz off and start my own), but I'd like to ask a few somewhat related questions. - First of all, I think I read that the PCM is the same whether the car is V6 or V8, true? - And it's a simple matter of reprogramming the VIN in the PCM & ABS modules to make it a "V8 PCM?" - Also, I think the PCM in this (hypothetical) '97 is the pre-411, black-box, 5800rpm limited one, no? - So let's say this silly crackhead was only interested in street performance (i.e., low-mid range torque). Seems to me that he would really not be affected by the 5800rpm limitation - especially considering that the TPI tends to peter out around 5000rpm anyway. Assuming further that said screwball had no plans for either SD-only or forced induction in the near future, I believe the current PCM would be adequate, correct? There are certainly other challenges to consider in such a swap (fuel system pressure, intake height restrictions, complete lack of access to the distributor, header fitment, and other issues). But I gotta think those could all be overcome with some ingenuity, patience, and careful planning. So what d'yall think?... besides that this "hypothetical" goon is totally nuts? Sounds like a lot of trouble to go to for a 5800 RPM restriction. If it were me, I'd stuff a better intake on it and go all the way to the 411 ECM if I were you. Of course, I'm not, and advice is only worth what you pay for it, so proceed accordingly. - I already have it, so it's free & I won't need to mess with selling what I've got, finding something else, haggling over price, shipping problems, etc. - I want monstrous low-end torque, and the TPI intake fills the bill perfectly. - I like the uniqueness of the "4th-gen TPI" concept. - I just think it looks cool. BUT I may go for the 411 after all, as you suggested. After doing some more research, I am less certain now about using the PCM that is currently in the vehicle. The service number is 16227797. It has a cast aluminum case, while the one talked about in an earlier post was referred to as the "old black one" or something. Also, when I looked at www.eficonnection.com, I saw no mention of this service number in any of the kits. All that makes me question the viability of using the current box. Ultimately, I would be perfectly happy to use the 411; the bigger concern is whether I can reuse the factory harness. I *really* hope so, because I can only imagine that replacing the whole thing would be a major PITA. Having said all that, I gotta believe that this should be relatively easy because the connectors on my PCM appear to be the same as that of the 411 (?). And also because the '97's came with the 4L60E trans which should make that aspect of it a "plug-n-play" deal with the new PCM. No problem - I understand your reasoning, and afterall, it is your car so do it like you want to!!! I doubt the PCM is pinned the same. I don't have access to the schematics for your engine to find out. Axle/Gears: 4.10 TruTrac Moser 9"
Here's a few pics just to let you know that it's possible and works. 0411 PCM running my 99 Tahoe in place of the stock 99 Vortec PCM. Repinned the harness, modified the distributor, shimmed the crank reluctor to clear the double roller timing set, back-cut the balancer to even things up. Did a few other things while we were in there. It's been running like a champ for a good while now. It's not a show vehicle, it's a grocery getter. It gets some groceries too with the 383 flat-top forged assembly and E-tec 200s fully ported. Has like a 224/230 .570/.580 cam. Blazer? They use the 411 as a pcm. Hahaha. I bet it does haul the groceries. Neat installation Craig. No problem! You may have to get the service manual for your car to get the schematics to do the re-pinning though. For now I'm sticking with my 730 based MR combo, workign on the S_AUJP V4 testing. Thanks for the heads-up. And of course, you're probably right (apparently so given the other responses). Judging by all the comments it does seem likely that I will need to rearrange some pins on the harness. BUT the nice thing is that I can get the schematics for the PCMs no problem, and without having to buy service manuals. So if all I have to do is rearrange pins, that's definitely doable. I'm actually having more difficulty getting my brain wrapped around exactly how to retrofit all the various sensors, etc., onto a Gen-1.5 engine so the new PCM "sees" what it expects. I realize that's pretty much what this whole thread is about, but I don't have the new engine yet so it's just not quite clear to me. Once I have it sitting in front of me, I think I'll be closer to getting it. Things are even more complicated because I also hope (REALLY hope) to pull off a distributorless setup. This is mainly due to the space constraints and accessibility issues inherent to the '97 body style I'm dealing with. Specifically, I want to avoid having to pull the motor if/when I need to remove the distributor. That means I need to have some other way of sensing the cam position (right?). I know there are "cam sensors" available, but I don't know how to make them work in this application. I do have some ideas, but I would not call them ideal, or seamless, or easy. Then again, it's entirely possible I'm making this WAY harder than it has to be... I *am* an engineer after all, and we're sorta known for doing that.